Synopsis “Quite simply this is an excellent book. It is well-written, with snatches of dry humour. It should be mandatory reading for anybody who keeps a dog or has intentions of so doing.” R. W. F. Poole, Daily Telegraph How do dogs perceive the world about them? How do they see, hear, learn, relate to their owners? How large are their brains, what is their emotional makeup? Why do they suffer from stress and how can it be coped with? Over the last few years a substantial body of knowledge has been built up about the psychology of dog behavior. Combining more than twenty years of practical experience as a veterinary clinician with a personal knowledge and understanding of the latest international research, Dr. Bruce Fogle has written the most inclusive and relevant book on how the canine mind works. From the Back Cover The Dog’s Mind “Quite simply this is an excellent book. It is well-written, with snatches of dry humour. It should be mandatory reading for anybody who keeps a dog or has intentions of so doing.” –R. W. F. Poole, Daily Telegraph How do dogs perceive the world about them? How do they see, hear, learn, relate to their owners? How large are their brains, what is their emotional makeup? Why do they suffer from stress and how can it be coped with? Over the last few years a substantial body of knowledge has been built up about the psychology of dog behavior. 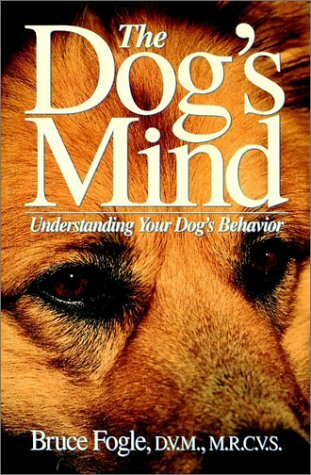 Combining more than twenty years of practical experience as a veterinary clinician with a personal knowledge and understanding of the latest international research, Dr. Bruce Fogle has written the most inclusive and relevant book on how the canine mind works.